Elon Musk shared a message on Twitter reminding us that all of Tesla’s patents belong to all of us, even Tesla’s competitors. He released all of the electric carmaker Tesla’s patents, as part of an effort to fight climate change. It was an unimaginable move in an industry where the smallest idea or seed of invention is carefully guarded to protect its monetary value. This move, for every old school business person, is pure mindlessness. However, unlike the mindset that’s driven by greed, Elon Musk is driven by his soul’s purpose. And everyone who has read his book knows how strongly he feels about his purpose. He is willing to risk everything, literally everything in an attempt to save humanity. 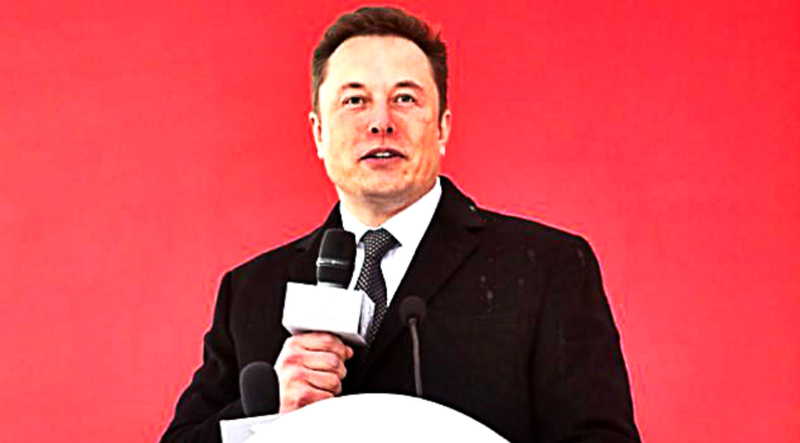 His purpose has led him to do unimaginable things, from having such an inhuman working ethic and spend countless hours in his office to sending humans to Mars. In every single company that he has build or helped be created, his purpose is the underlying foundation and the essence that is driving their big decisions. That’s why keeping Tesla’s patents to themselves is not something Elon Musk is interested in. That’s not in alignment with his purpose. His purpose is to save humanity and he knows that he cannot do that alone. By sharing their patents, we all have the opportunity to use them, make them better. If their competitors see their patents and want to create better products, better vehicles that do not harm the environment, than we all win. And even though this move might not be the smartest one business wise, it’s one of the most humane moves a big company can make. It’s a move that’s in alignment with his purpose. After all, that’s what matters the most to Elon Musk. And it should be something we learn from. It should be an eye opener that it’s not about winning the fictitious game we play against each other. It’s about giving each other a hand. We are all on this ship together. We have one place within this infinite vastness. There is a bigger game at play than the one the ego plays. If we don’t help each other learn, if we don’t clean each other’s mistakes and fix the mindless actions we have done to this planet, we all lose. Elon Musk reminded us that it’s not about competition, it’s about cooperation. It’s not about ‘survival of the fittest’ anymore. It’s done. We evolved from it. We should let it go already. In fact, we might not survive if we are not cooperating, all of us, together. The sooner big companies realize this the better. The more people think like Elon Musk and are driven by their soul’s purpose, the better. And if anything, the companies who compete can compete in a way that’s helpful for the environment, not harming. Maybe use Tesla’s patents to create better products. There is a need for a paradigm shift, it’s necessary for the world that big companies change and tweak their ways of work. Elon Musk seems to be one of the first who understands the desperate necessity of this. If anything, he will inspire at least one more person to do the same. What do you think of this? Do you agree with Elon Musk’s decision? What’s your soul’s purpose? We would love to read your opinion.